Get ready to dance the night away because this Pittsburgh wedding will do nothing but make you get out of your chair and do just that! 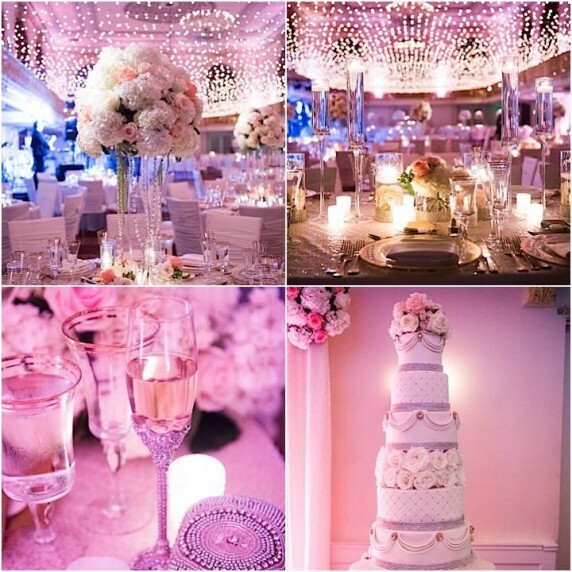 This stunning wedding is as glamorous as it gets and we’re totally enamored by every little detail! Looking at the reception makes our jaws drop and our hearts tingle. How stunning is the canopy of lights created above the reception hall? Simply stunning. And that seven tiered cake is just beyond words! Get swept away by the beauty created by The Event Group and captured by Elizabeth Craig Photography. Trust us, it is SO good.